This was our first Thanksgiving without family. Our friend, Renee, came over and joined us for the holiday. I couldn’t find a small turkey by the time that we had decided to cook at home, so I opted for 3 stuffed turkey breasts which turned out to be way too much (total of 9 pounds — oops!)!! One was stuffed with cranberry pecan stuffing, one had an herb and butter stuffing (we actually didn’t even carve into that one! ), and then one had a blue cheese and asparagus stuffing. They were from Whole Foods and I think we did a pretty good job of roasting them. 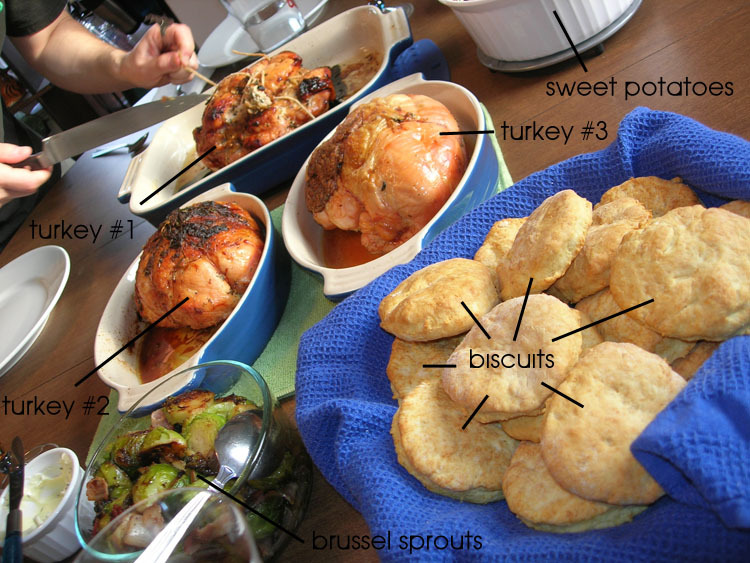 I made a sweet potato casserole, biscuits, and brussel sprouts for sides and then we had chocolate chip cookies for dessert. 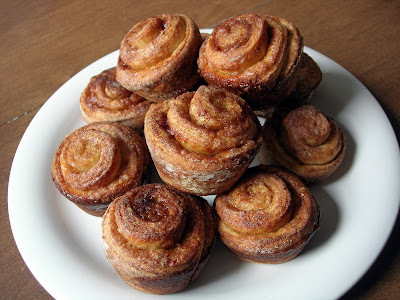 Oh and I made us some cinnamon rolls for breakfast this morning (from scratch!). It was a low-key, relaxed, and fun time. Afterwards, Renee and I did some crafting while Tony passed out on the couch. 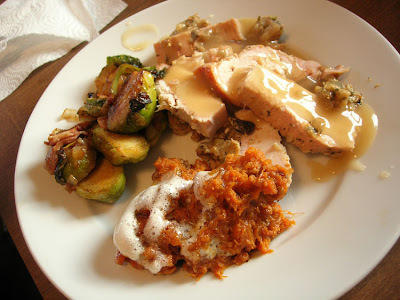 This entry was posted in holiday, Thanksgiving, turkey by shortcakescraps. Bookmark the permalink. Yummy! Pretty! Thanks for cooking!